These cute sandals are perfect for summer! 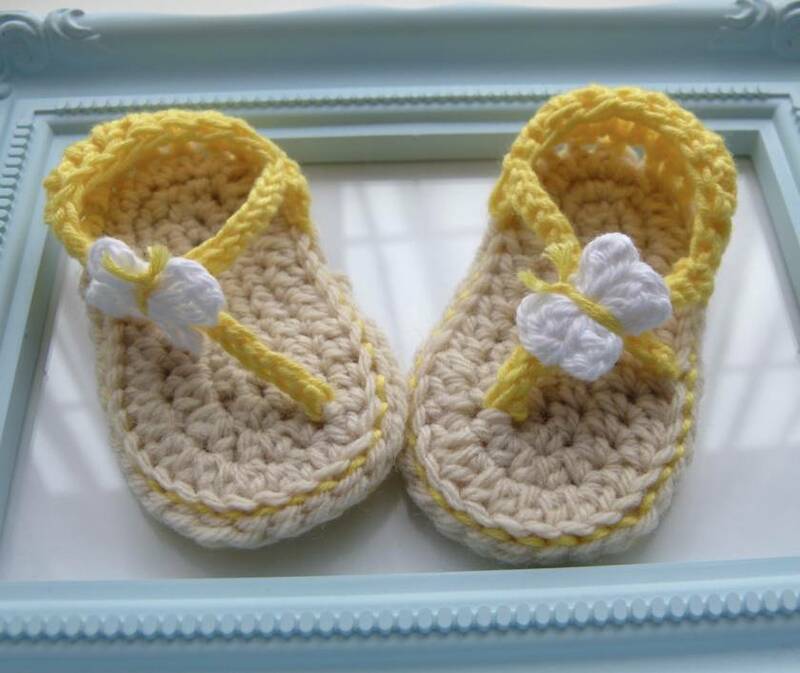 Crocheted in a combination of fresh, crisp colours and from light weight cotton to help keep little feet cool. 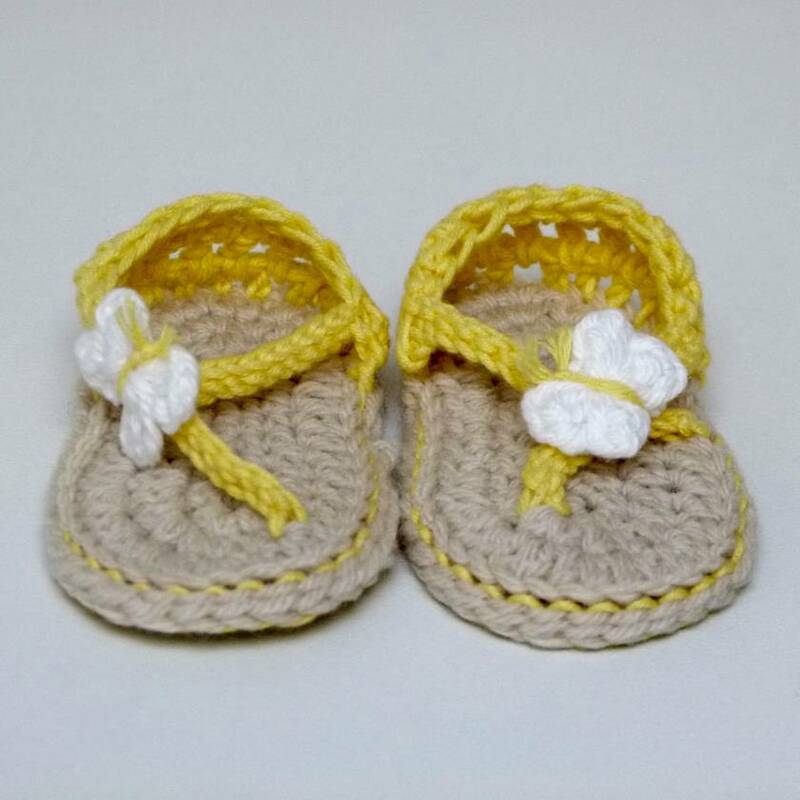 The soles of the sandals are worked in beige and the straps are in Sunshine Yellow. 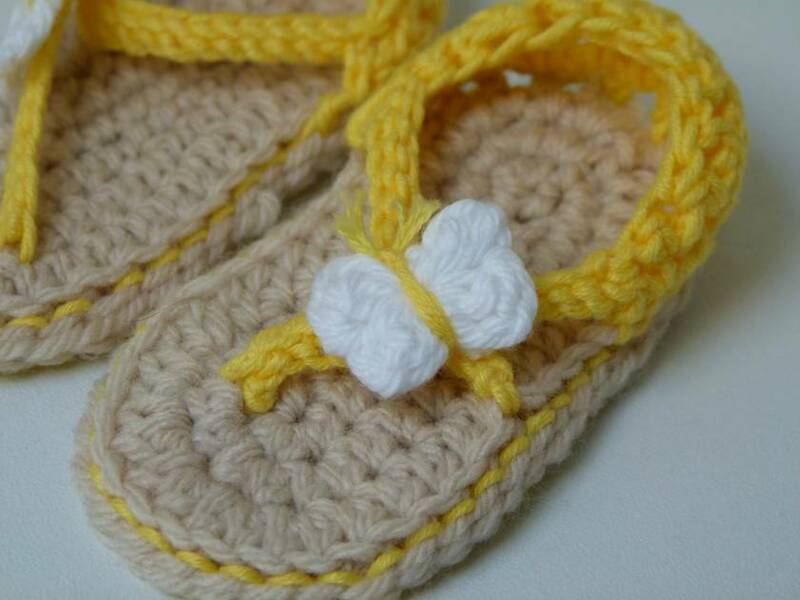 Each individual sandal is then adorned with a small white butterfly. 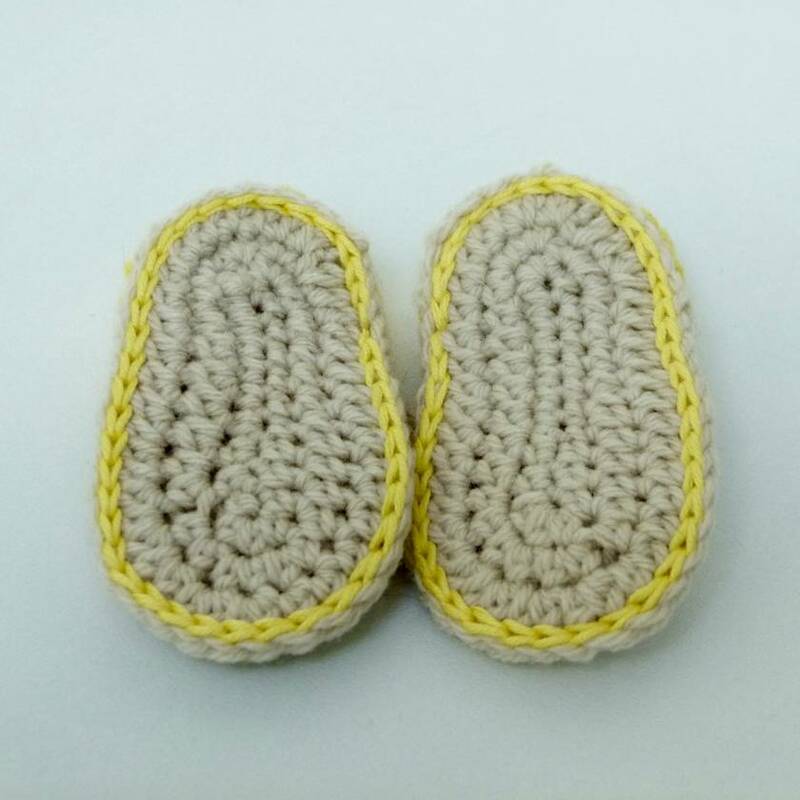 For a range of alternative children's footwear, please check out my other listings.